Holidays are filled with family get togethers, late nights looking at Christmas lights, Advent readings at bedtime, parties with friends, and lots of sugar. Schedules aren’t quite as rigid as normal as community and relationships take precedence. This is a beautiful time. It can also be a tad crazy because little hands need something to do. When they aren’t given direction, they tend to do things they aren’t supposed to. At least that is what happens at our house. 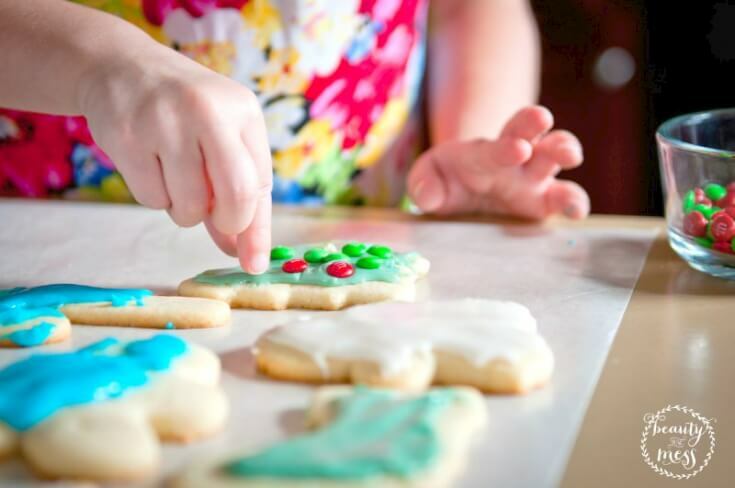 Make Christmas Cookies for family and friends. I’ll admit that I typically shy away from baking with my children. It’s just so messy. They love it though. Especially cracking the eggs and taking the Horizon butter out of the packaging. 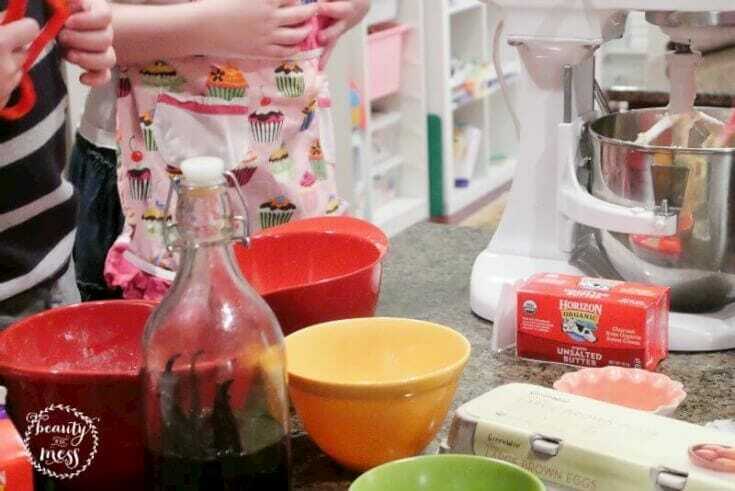 Pouring heavy whipping cream into the powdered sugar to make icing is another favorite task. Those can be messy jobs. So can using the mixer when they want to turn it on HIGH. But messes are easy to clean up. The memories made in the kitchen are priceless. Bite your lip and let them in. It will be worth the mess. 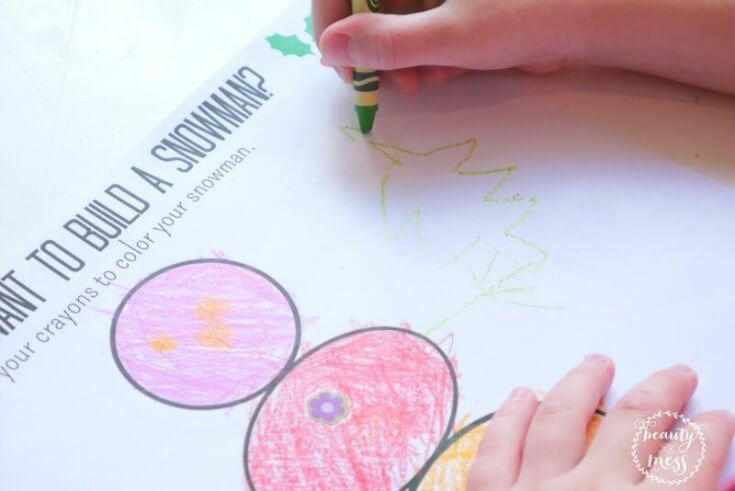 Break out the crayons and colored pencils for some snowman building time minus the cold. My children really enjoyed this activity. I set out crayons and the coloring sheets. They grabbed stickers. They took my plan and expanded on it. To make your own snowman, click here and it should open a window so you can print it out yourself. Let me know if that doesn’t work. I absolutely LOVED making these as a child. My kids liked it too. Yay! It’s a great fine motor workout. They smell lovely and are beautiful. Plus it keeps them busy for awhile. 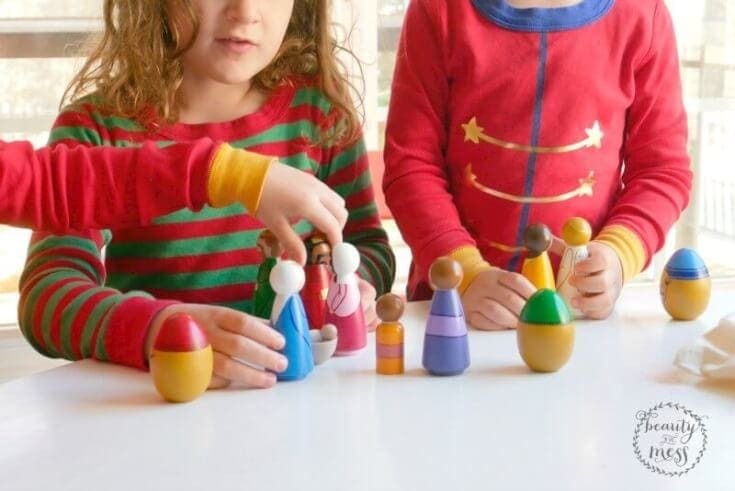 Let them play with a Nativity Set. Hands-on activities are best for my littles. They need to have something in their hands that they can manipulate. We are still in the “little” stage where they are smitten with all things the size of their hands. They know the story of the Nativity. We’ve read the stories and they have learned about it in Sunday School. Now they can act it out for hours. Even naming the shepherd John. 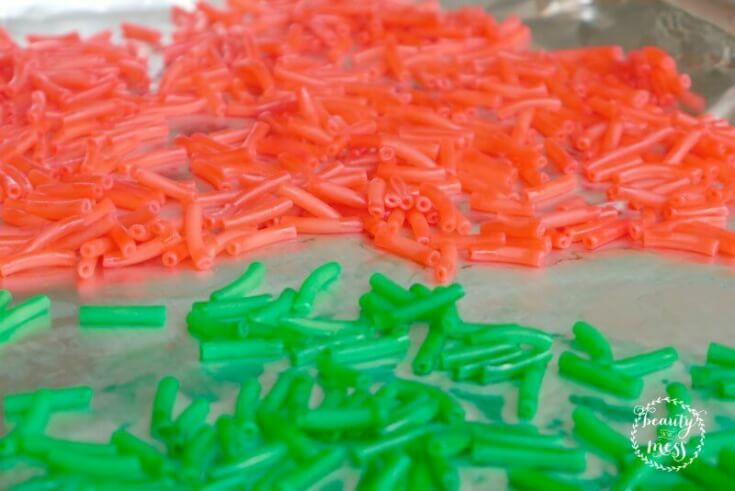 Macaroni noodles are some of my favorites mediums to craft with. Yes, my inner former preschool teacher is showing. I love setting out craft supplies and letting their little imaginations run wild. While I might grab a paper plate, some paint, and yarn to create a wreath and then decorate it with red and green macaroni noodles, someone else might grab fishing line and start making a necklace or bracelet. Maybe even garland for their little tree. When doing our macaroni projects, my oldest son wasn’t really interested in gluing or cutting. Instead, he moved the colored macaroni noodles around on the drying tray. He created pictures by simply moving them around and created art that way. Of course there are so many more activities you can do. 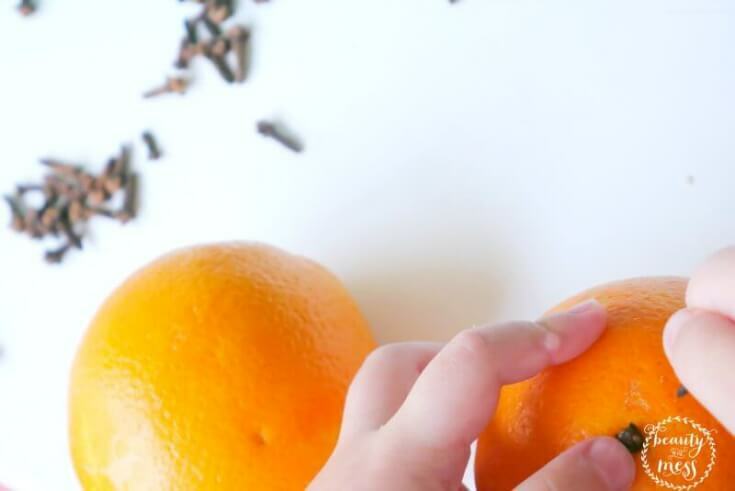 Make ornaments and other creations with air dry clay. Create thumbprint art. Set out stamps with ink pads and some construction paper to see what they create. Open ended art projects are my favorite. I’ll give guidance, but love to see where their imaginations take them. For us, it’s usually to the moon and back. 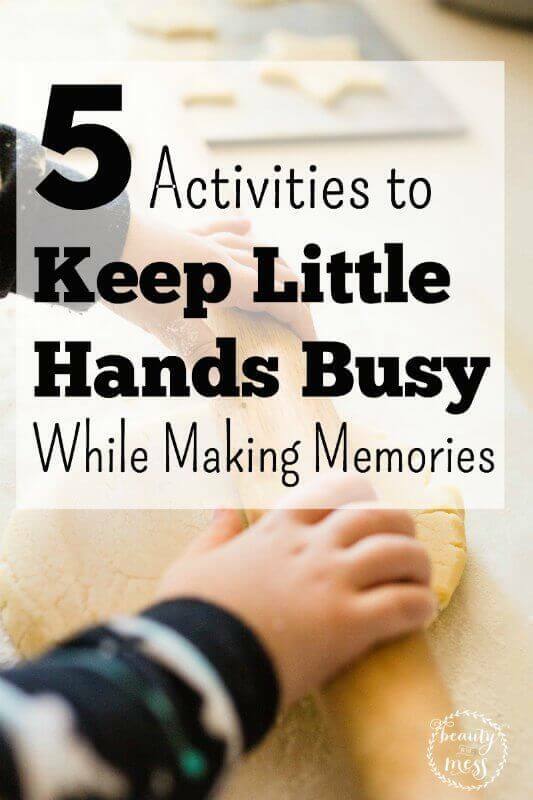 What are some of your favorite activities to keep little hands busy?